Bentonville, AR, from May 5 to May 11, 2015 will be a city to watch as they decisively move forward in supporting cultural programming that is both diverse and progressive. 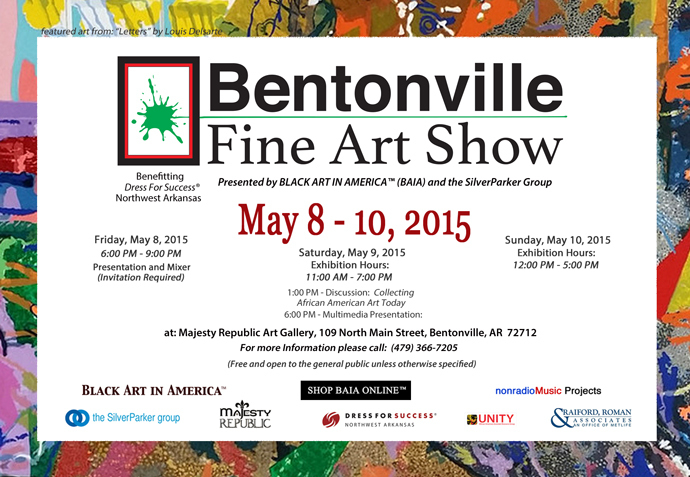 Bentonville will host two events — The Bentonville Film Festival (BFF) and The Bentonville Fine Art Show (BFAS). Both events will overlap as they promote the works of women and minorities in film and visual arts.